D.-W. Oh, S. Kim, J.A. Rogers, D.G. 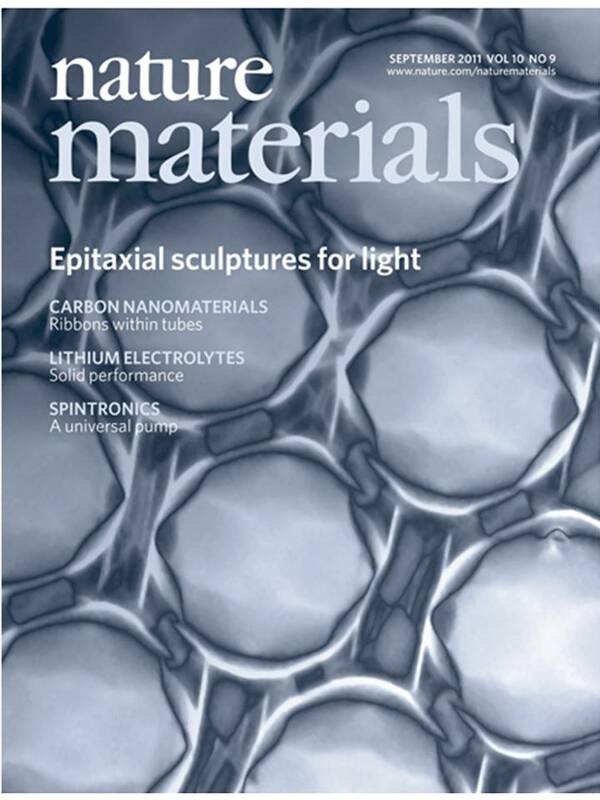 Cahill and S. Sinha, "Interfacial Thermal Conductance of Transfer-Printed Metal Films," Advanced Materials 23, 5028-5033 (2011). J.A. Rogers, M.G. Lagally and R.G. 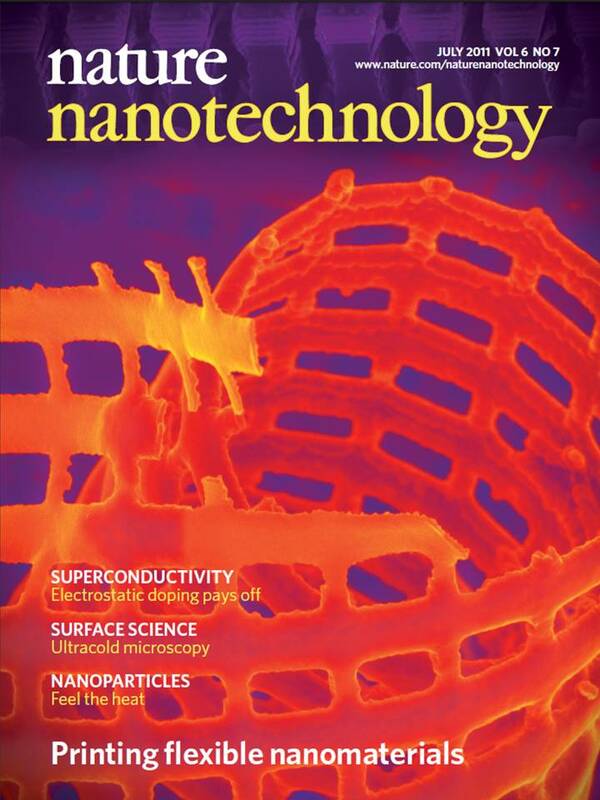 Nuzzo, "Synthesis, Assembly and Applications of Semiconductor Nanomembranes," Nature 477, 45-53 (2011). H.-J. Chung, T.-I. Kim, H.-S. Kim, S.A. Wells, S. Jo, N. Ahmed, Y.H. Jung, S.M. Won, C.A. Bower and J.A. 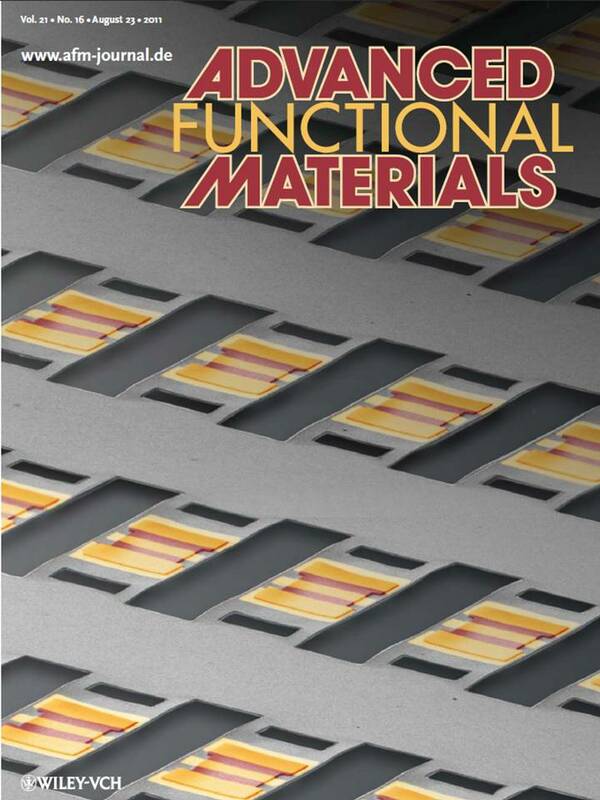 Rogers, "Fabrication of Releasable Single-Crystal Silicon-Metal Oxide Field-Effect Devices and Their Deterministic Assembly on Foreign Substrates," Advanced Functional Materials 21, 3029-3036 (2011). D. Chanda, K. Shigeta, S. Gupta, T. Cain, A. Carlson, A. Mihi, A.J. Baca, G.R. Bogart, P. Braun and J.A. 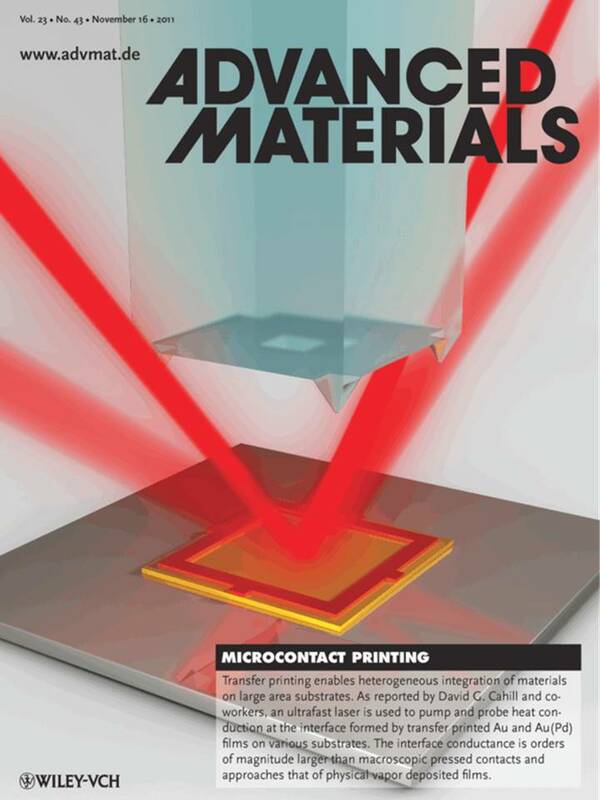 Rogers, "Large-area Flexible 3D Optical Negative Index Metamaterial Formed by Nanotransfer Printing," Nature Nanotechnology 6, 402-407 (2011). H. Kim, E. Brueckner, J. Song, Y. Li, S. Kim, C. Lu, J. Sulking, K. Choquette, Y. Huang, R.G. Nuzzo and J.A. 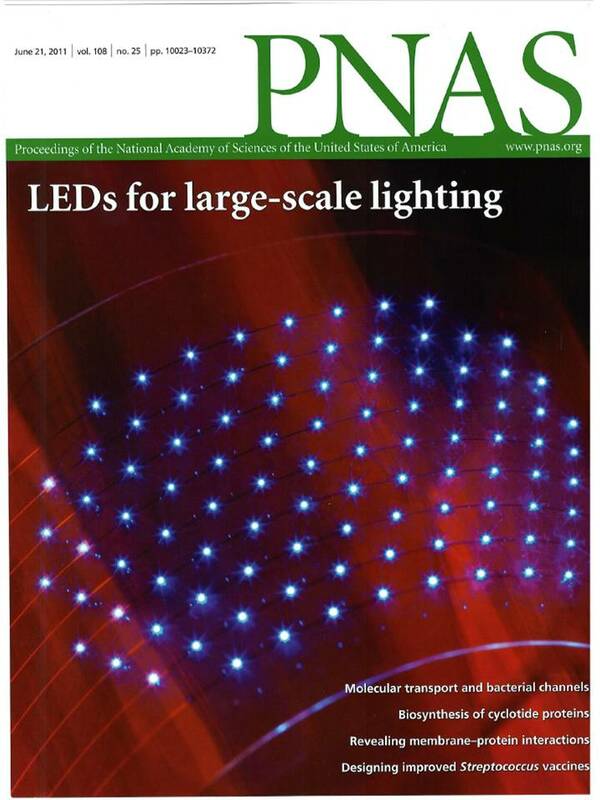 Rogers, "Unusual Strategies for Using Indium Gallium Nitride Grown on Silicon (111) for Solid-State Lighting," Proceedings of the National Academy of Sciences USA 108(25), 10072-10077 (2011). J. Yoon, L. Li, A.V. Semichaevsky, J.H. Ryu, H.T. Johnson, R.G. Nuzzo and J.A. 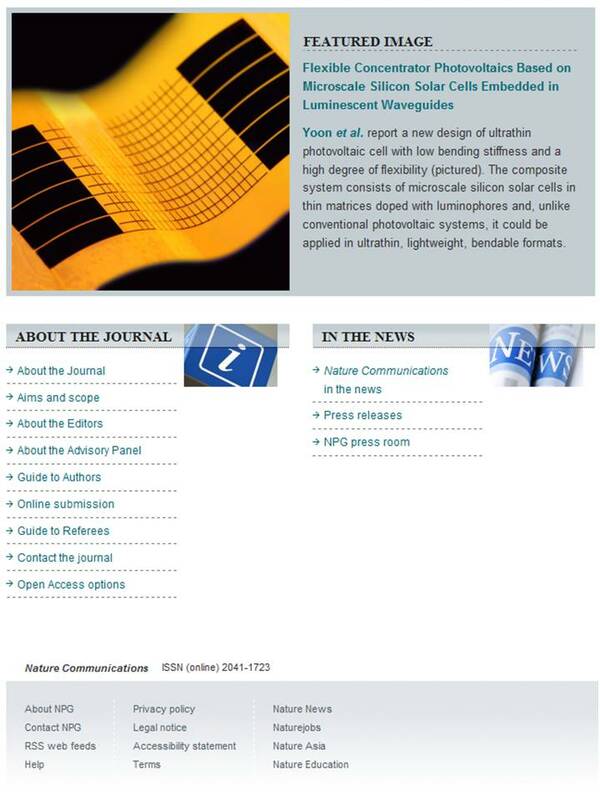 Rogers, "Flexible Concentrator Photovoltaics Based on Microscale Silicon Solar Cells Embedded In Luminescent Waveguides," Nature Communications 2(343) DOI: 10.1038/ncomms1318 (2011). X. Hu, P. Krull, B. de Graff, K. Dowling, J.A. Rogers and W.J. 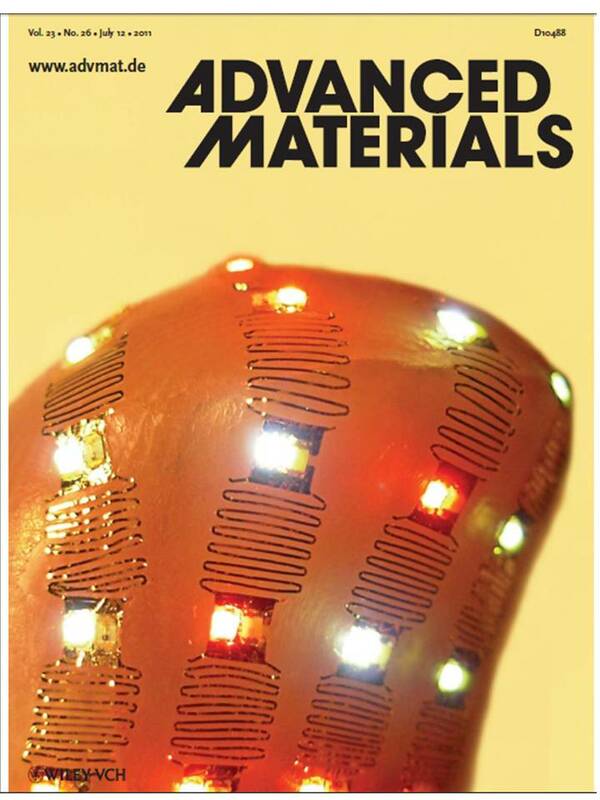 Arora, "Stretchable Inorganic-Semiconductor Electronic Systems," Advanced Materials 23, 2933-2936 (2011). Y. Yang, Y. Hwang, H.A. Cho, J.-H. Song, S.-J Park, J.A. 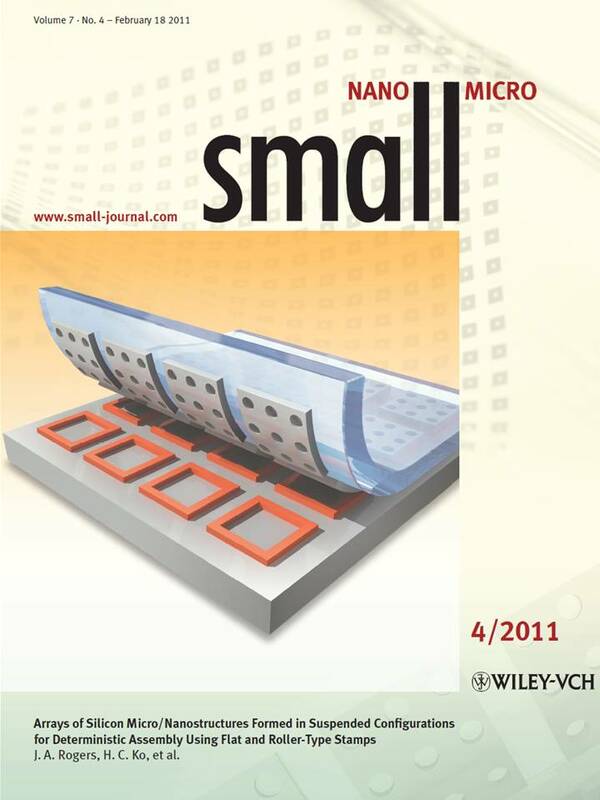 Rogers and H.C. Ko, "Arrays of Silicon Micro/Nanostructures Formed in Suspended Confi gurations for Deterministic Assembly Using Flat and Roller-Type Stamps," Small 7(4), 484-491 (2011). J. Lee, J. Wu, M. Shi, J. Yoon, S.-I. Park, M. Li, Z. Liu, Y. Huang and J.A. 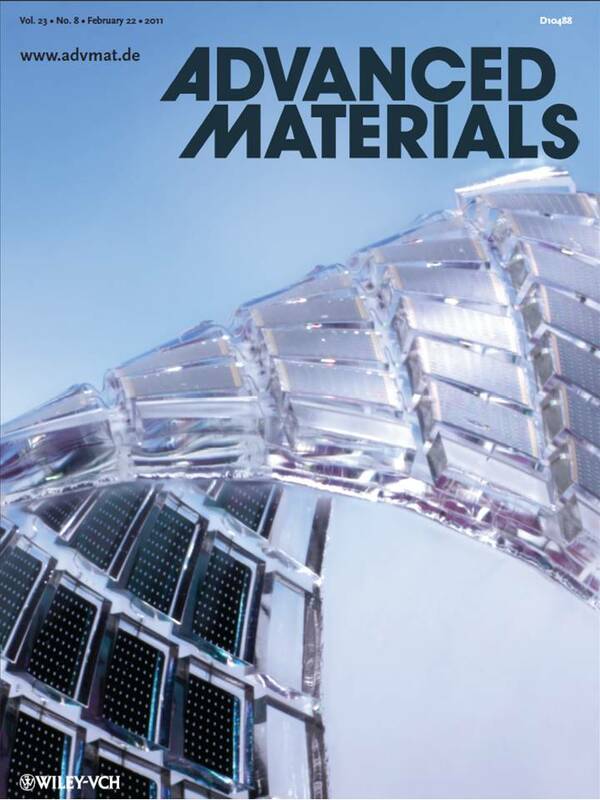 Rogers, "Stretchable GaAs Photovoltaics with Designs That Enable High Areal Coverage," Advanced Materials 23, 986-991 (2011). I. Jung, J. Xiao, V. Malyarchuk, C. Lub, M. Li, Z. Liu, J. Yoon, Y. Huang and J.A. 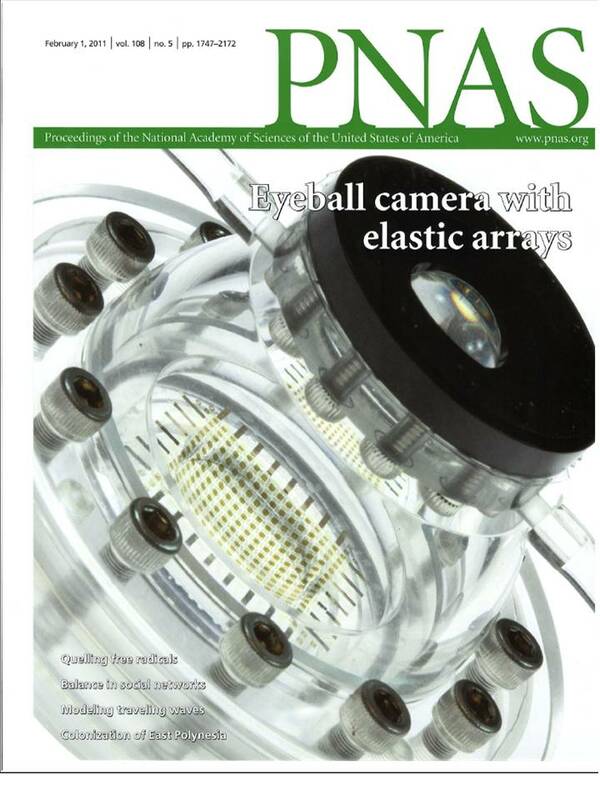 Rogers, "Dynamically Tunable Hemispherical Electronic Eye Camera System with Adjustable Zoom Capability," Proceedings of the National Academy of Sciences USA 108(5), 1788-1793 (2011).